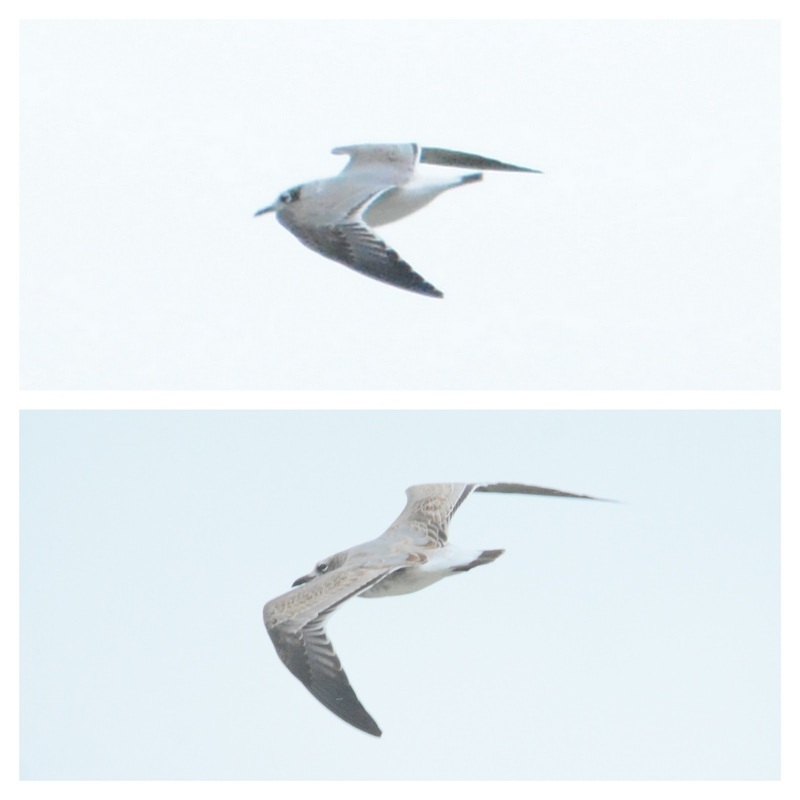 Saturday, 18-Oct-2014, was our first notable gull movement here on the south rim of Lake Michigan. We tallied 8 species at the Miller Beach Lakewatch, with Thayer's Gull and Laughing Gull being the most interesting larids. Lakewatches are fun...even in the rain. Birders tallied 4 Thayer's Gulls, which is apparently an Indiana state "day" high count for October. Juvenile Thayer's with Ring-billed Gulls. Gary, IN. 18 OCT 2014. Photos heavily cropped and lightened. LBBG (1st cycle). Gary, IN. 18 OCT 2014. GBBG (1st cycle). New Buffalo, MI. 18 OCT 2014. GBBG (2nd cycle). New Buffalo, MI. 18 OCT 2014. Herring Gull (adult type). New Buffalo, MI. 18 OCT 2014. Slaty-colored wingtip with relatively extensive white pattern. I've seen Smith's with limited pigmentation up the outer tail feathers, but this one is really pushing the limits! All in all, it was an adrenaline-producing day and a fine way to get the season rollin'!